A mild-mannered introvert named Horace Gray was always on a schedule, a routine. Every day like the one before..
And part of Horace’s routine was a morning visit to the automat around the corner from the office where he wrote reports no one would ever read for an insurance company. 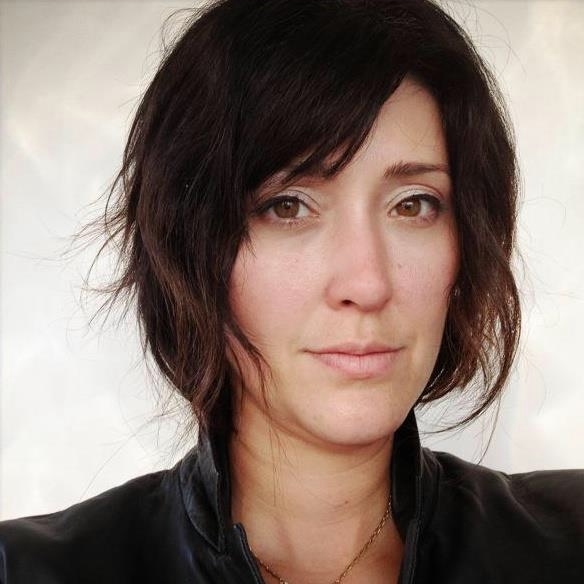 Then, in Cristina Martin‘s psychological thriller “The Automat” Horace becomes obsessively enamored with a woman who stares at him from behind the automat wall. And from there he slowly descends into madness. “The Automat” explores the dark side of human nature and the innate desire to be loved. It’s a story of unexpected change in the routine of a simple life, of obsession, guilt, and the consequences of betrayal. Had to go Google “automat,” didn’t you? Originally, the machines in U.S. automats took only nickels. In the original format, a cashier would sit in a change booth in the center of the restaurant, behind a wide marble counter with five to eight rounded depressions in it. The diner would insert the required number of coins in a machine and then lift a window, which was hinged at the top, to remove the meal, which was generally wrapped in waxed paper. The machines were filled from the kitchen behind. All or most New York automats also had a cafeteria-style steam table where patrons could slide a tray along rails and choose foods, which were ladled out of steaming tureens. Inspired by the Quisiana Automat in Berlin, the first automat in the U.S. was opened June 12, 1902, at 818 Chestnut St. in Philadelphia by Horn & Hardart. The automat was brought to New York City in 1912 and gradually became part of popular culture in northern industrial cities. 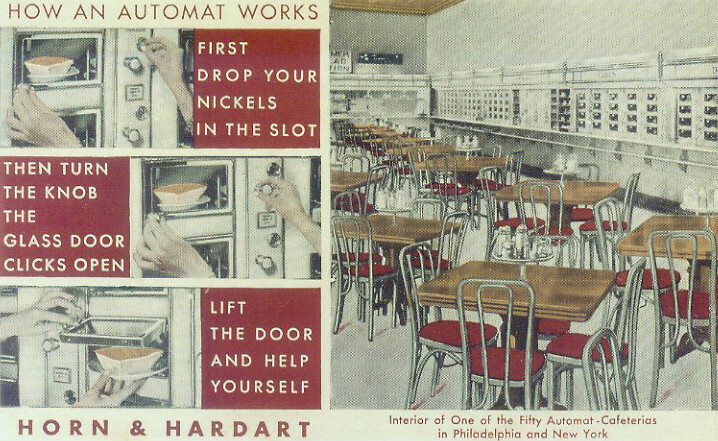 Horn & Hardart was the most prominent automat chain.